Easing out of vacation mode can be rough. The last two weeks have been long ones but as my tan fades and the harsh reality of winter sinks in it's time to get back to reality (with a dash of nutmeg so I can pretend I'm still in Tortola). 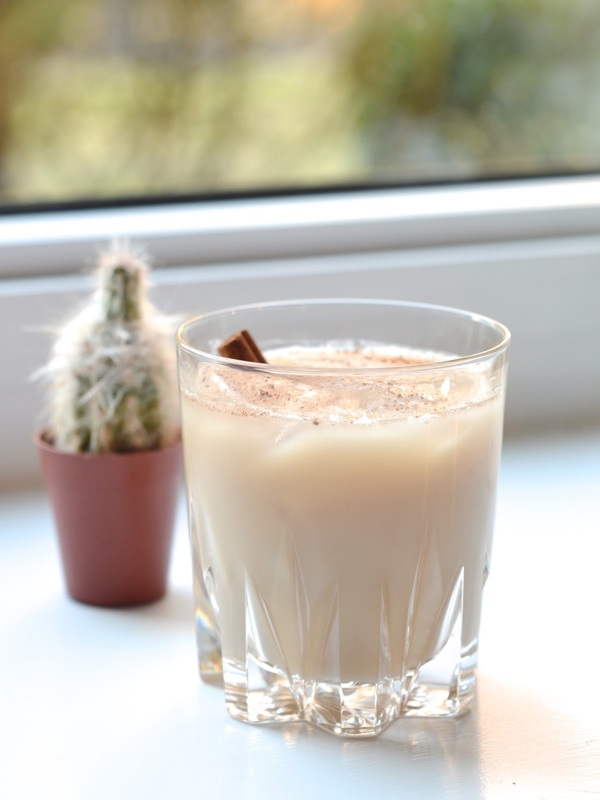 I was originally planning to feature one of our island favorites today, the painkiller, but when I spotted this recipe for a sugar and spice white russian on pinterest I couldn't resist. When it comes to proportions for this cocktail there are be a lot of variations so I decided to work with what I had and make it to taste. This is what I came up with. In a shaker add vodka, kahlua, and almond milk. Shake and pour over ice. Sprinkle cinnamon sugar and nutmeg over the top and garnish with cinnamon stick if you like. This cocktail pretty much tastes like a milkshake and is so easy to make. I think I'll be sipping these for the reason of the season. Looks so yummy! I love White Russians, sometimes they just hit the spot. Can't wait to try it. Yummmm this drink looks fantastic, I need to beef up my liquor cabinet haha. Ummm, yum, this looks delicious! Wow, this sounds amazing and looks so simple to create. Adding to my list! 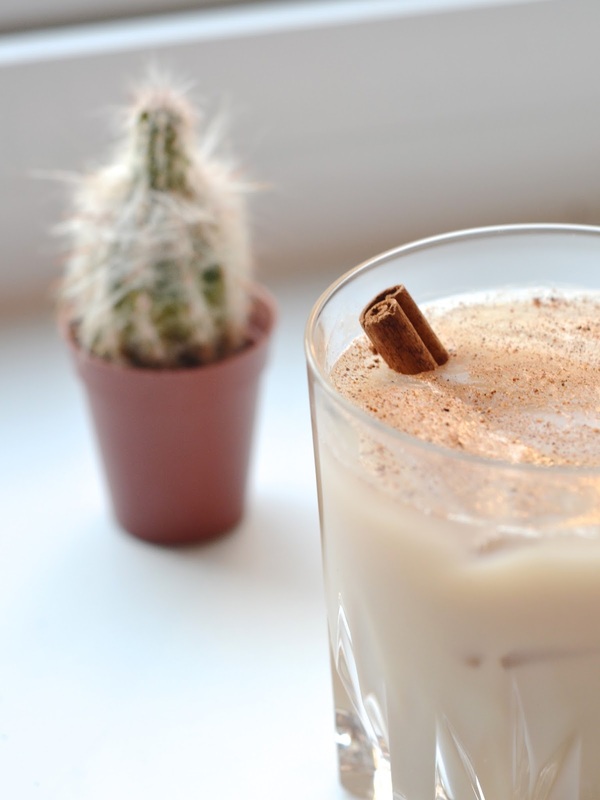 The perfect winter cocktail! Looks so yummy!